I feel it wise to mention straight away that this cleanser is a little watery, so you will have no issues of getting it out of the tube. It almost falls out of the tube just by opening the lid. Murad say to use only a small amount on the face, so do keep that in mind when opening the bottle before you end up with far too much. It has a fine gritty texture to it, so it exfoliates very gently. It's more of a buff or a polish than a full on scrub. Once on wet skin it doesn't lather up too much, so don't expect a face full of soap suds with this one. It rinses off easily too, but do make sure that you feel your face rather than just use your eyes to check if it is all off as it can leave some of the scrub behind. You can't see it, but you can feel it. Once rinsed off and dried, I do find that the skin looks brighter and feels softer after use, and with continued use the effect intensifies. It adds a subtle radiance that isn't overwhelming, so I'd also say that it is suitable for all skin types. In addition, I also find that it does a good job on post blemish marks by helping to reduce them. 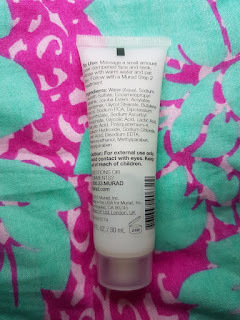 Even though Murad say that it should be used 2-3 times weekly, I personally find it fine to use daily. I also see better results that way. This could be down to skin type though, so I suggest trying it out to see what works best for you. Some people can assume that the abrasiveness of the scrub is what counts with exfoliation, but what it is important to remember is that the acidic blend (the AHA and the BHA) also work as an exfoliant. If you want something harsher and grittier, you may prefer checking out something like the Huygens Exfoliating Cream or Lush's Let The Good Times Roll. The AHA and the BHA aspect does work better when applied as part of a cream, but the added Jojoba bead scrub in conjunction within this face wash act as sort of a quick burst of exfoliation rather than a full on treatment. If you are looking for the full effects of an AHA or BHA treatment, I'd advise you to also purchase a moisturiser or serum as this won't be a full hit (I personally like the Paula's Choice Skin Perfecting 2% BHA Liquid). This cleanser is more of an accompaniment to an AHA or BHA routine rather than the complete dose. You don't necessarily need to use both an AHA and a BHA, so one or the other should be sufficient. Seeing as I only have the small version and I have been using it daily, this cleanser has lasted a fairly long time. A full-size, 200ml will likely last ages, so whilst it is expensive, I'd also say that it is value for money. If the price is what puts you off trying this, I do suggest keeping that in mind when deciding on it. Overall I think that this cleanser is a great item to give a whirl. If you are looking for something to inject a bit of brightness into duller skin then the exfoliation of this is quick and to the point at providing it. 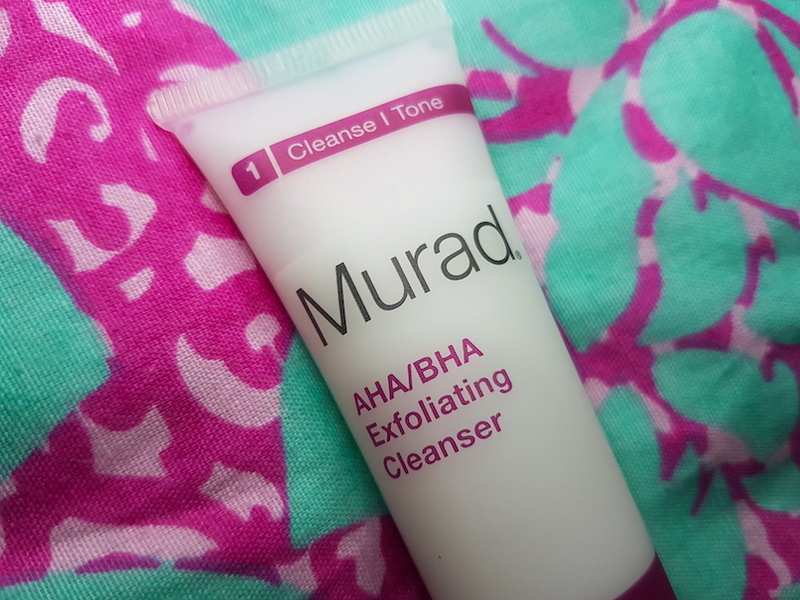 You can purchase the Murad AHA/BHA Exfoliating Cleanser from Murad. 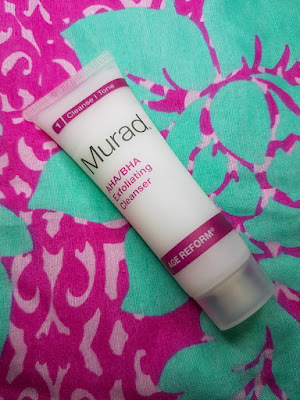 What are your thoughts on the Murad AHA/BHA Exfoliating Cleanser? What is your favourite facial exfoliator?